Ethereum can simultaneously be called both a digital coin and a functional decentralized environment, due to which a real revolution in crypto assets has taken a place. The experts involved in the creation of Ether, during the launch, pursued one key goal - to improve BTC. However, in general, this digital coin, despite a number of similarities with Bitcoin, has become an independent unique unit. Many have an interest in it, so investors often ask where to buy cryptocurrency through WesternUnion. According to standard terminology, an ether-based platform was designed to create and operate decentralized blockchain-based applications, as well as use smart contracts. The internal currency of the above platform is considered to be broadcast, abbreviated as ETH. These digital coins are used not only as a unit of account. With their help, the fact of execution of smart contracts is guaranteed - this is their unique feature. As for Western Union, it is a diversified company. The key activity is financial transfers. Purposeful development policy has increased the number of service centers around the world up to 600 thousand. Thanks to the many-sided relations in this area, the system became a full-fledged monopolist, and this had a positive effect on the company's capitalization and its financial well-being. How to buy Ethereum is quite a relevant issue for people who are planning to start investing and want to become owners of a full cryptocurrency wallet. It is quite easy to make such a transfer - for this, use specialized exchange services that provide quite profitable services. How to buy ETH with WU - Instruction? 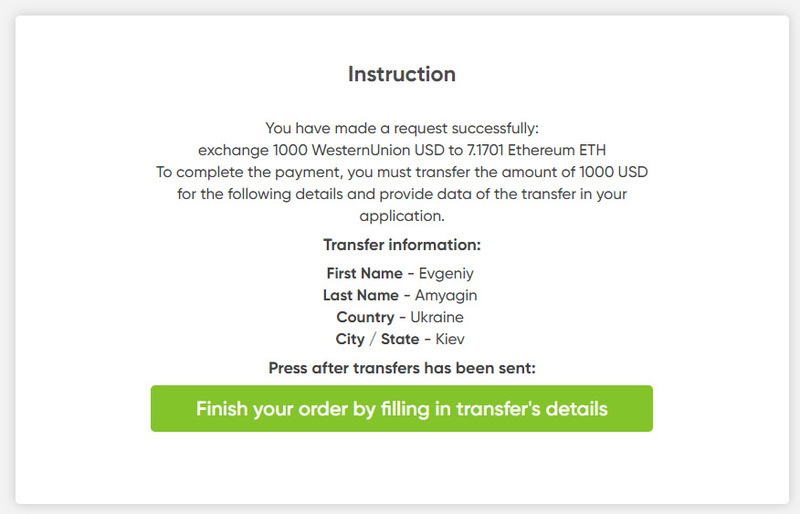 Make new order on buy Ethereum with USD through Western Union page. On the next page you will receive credentials for money sending through western union. To this name you have to send western union transfer in any western union office, bank or online payment. Country and city where western union have to be sent to. After sending money you will get a Western Union receipt where is written Money Transfer control number (10 digits). Country and city from where the transfer has been sent. 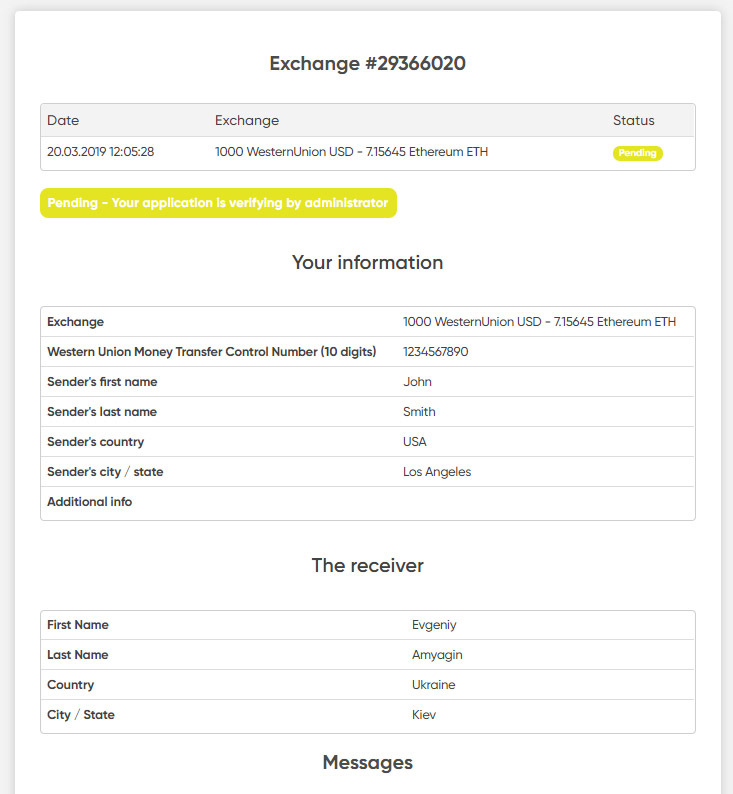 You will find your completed exchange request with status “Pending”. All you need is to wait till we pick up your money and finish the order by sending Ethereum to your wallet. 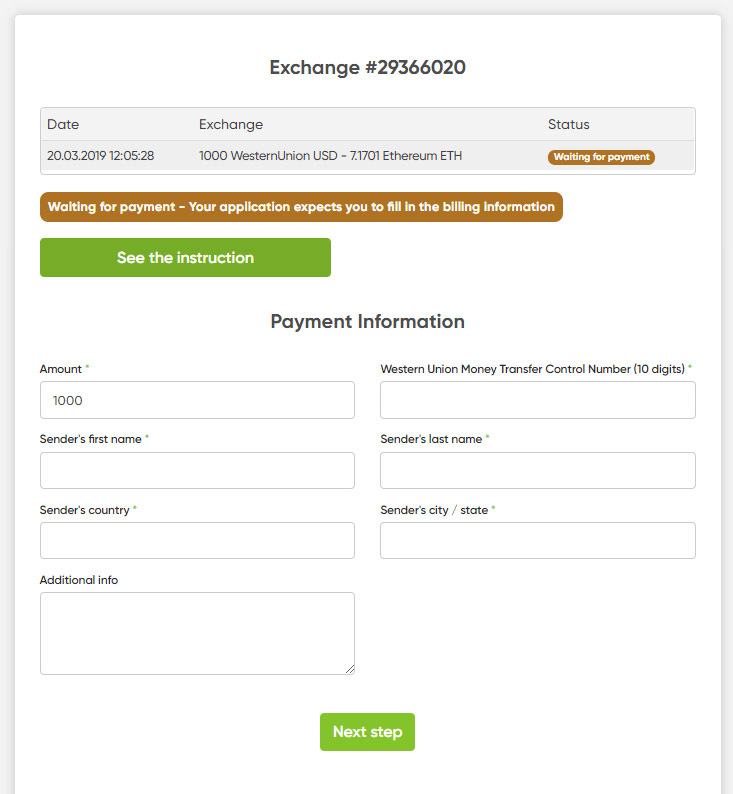 All exchanges of buying ethereum with western union are performed in working hours. 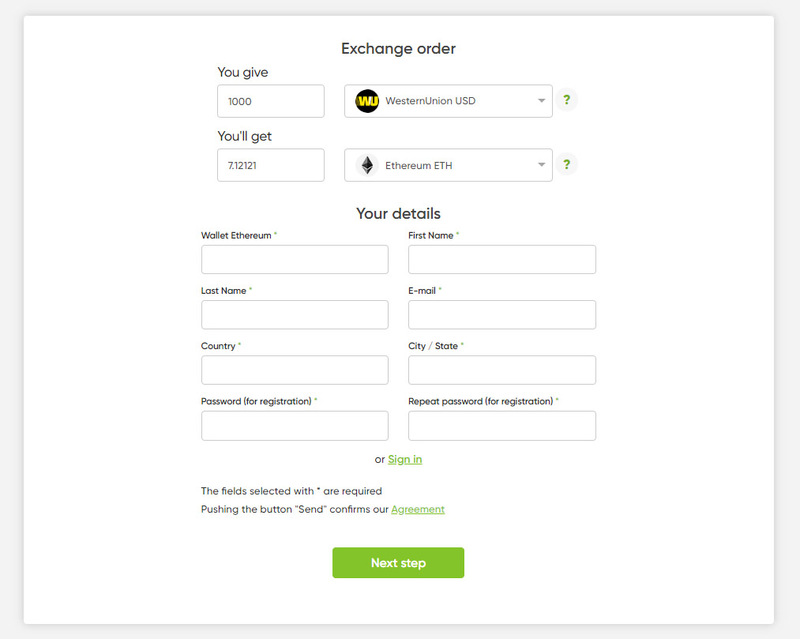 If your order is completed at night, or when working day is finished - transfer pick up and eth sending will be performed next business day in the morning. Feel free to ask any questions regarding Ethereum purchase in our live support chat. We’ll find and propose best method suitable for you.